Fashion, some out there may care, some may not. I am pretty sure I fall into the group of nerd geek that does not care much or pay attention to fashion. Going beyond the minimal required for an office dress code is something that simply does not compute. You have your collection of ironic or geeky t-shirts that are mixed in with either jeans or shorts depending on the temperature outside, nothing else. 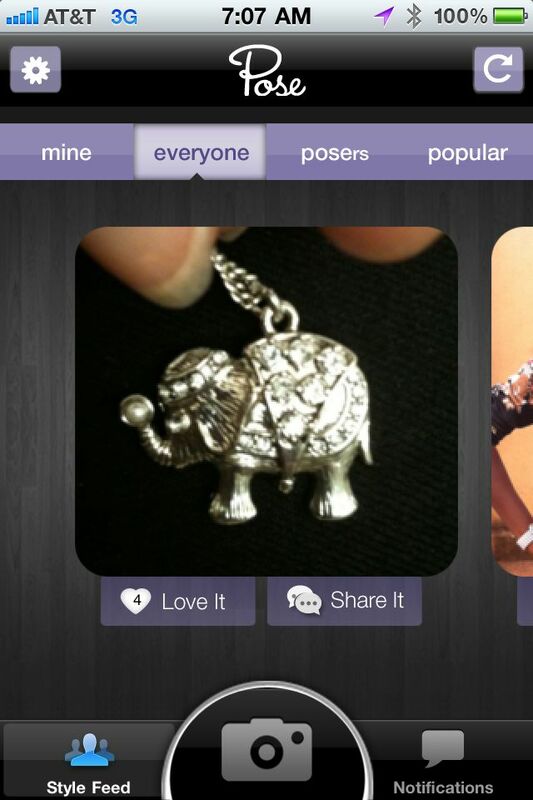 For the more fashion conscious who need opinions on what looks good, Pose is your buddy in the iOS application world. When the fashion friendly are out at these mall things I have heard of and trying on items, they can take a photo of themselves in said outfit and post it to Pose to gather opinions on the item. This satisfies the need for approval from their peers on whether what they are wearing looks good. 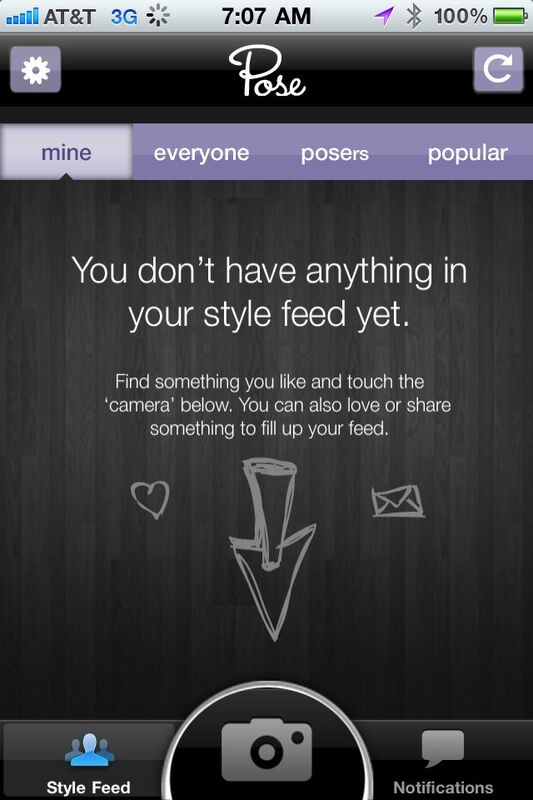 There are a ton of options on the application for sharing on social networking sites along with the app itself. 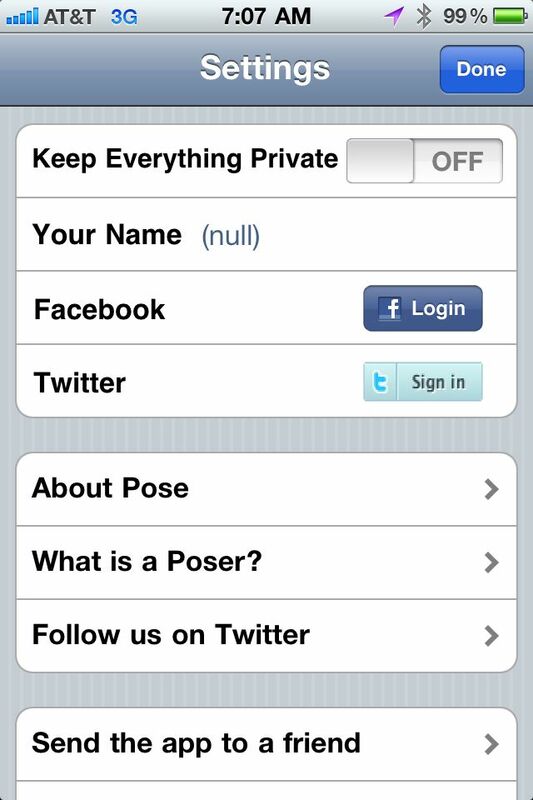 There is also the option for those out there wanting to give their advice to other Pose users. You can browse other photos and give out your opinion like smiting the nonbelievers with your fashion opinion and not hitting the “love it” button, it’s a lot of power, like Spiderman. There are quite a few users out there so there are endless hours available for doling out your opinion or sharing there triumphs and failures. They do not have a way to hate items so that will at least save those from the pain of being critiqued by the horrible masses of humanity. This application is pretty well designed. It looks great, graphically really good, the interface is laid out very well. 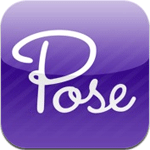 There are a lot of features included with the Pose application. It covers all the social networking biggies, Facebook and Twitter. The problem I have is not with the actual app itself. I just think the concept is shallow and dumb. Take that with between two and seventy five thousand pounds of geeky man salt. Being a geek means I do not care about fashion, let alone what other people are wearing or the giving of my opinion on such things. Being male doubles that. Perhaps there is someone out there reading this who is in the target audience and can tell us why this application rules, please explain in comments, all I can think is “DOES NOT COMPUTE!”.